These ladies. I love these ladies. I actually printed and framed this photo and it hangs in the hallway of my house, I love these ladies so much. This was at Delaney and Chris' wedding reception at the lovely Ault Park in Cincinnati. As a treat, they provided a gelato station where guests could choose a couple different flavors of delicious gelato. These ladies were standing off a little from a lot of the other guests and I was standing directly in front of them, maybe 20 feet away, watching as they surveyed the scene around them and showed their reactions on their faces. 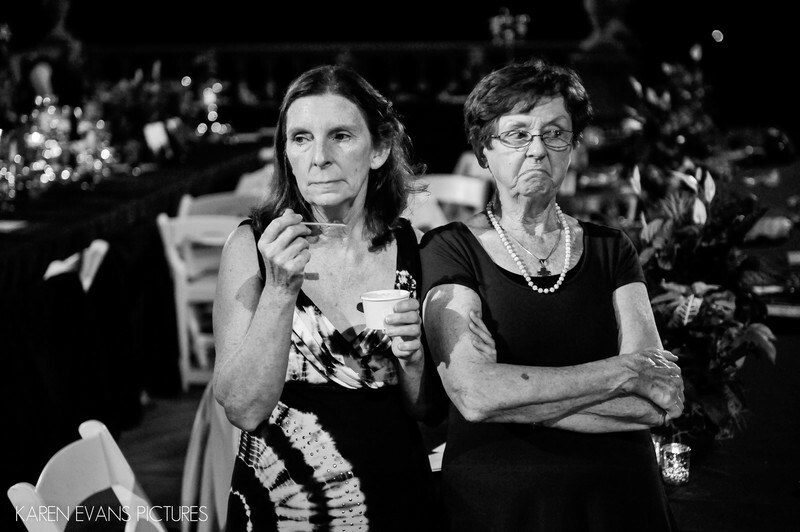 That they look bored and slightly judgmental is, in my opinion, hilarious, and what really makes this image work. And the body language too! This one is a keeper!Keywords: ault park cincinnati (12).